This is what a good morning looks like. I’m back on track with my creative resolution. I decided on the habits that will keep me creative and successful, and I’m keeping to them, until they truly become habits and I do them without even thinking. I’m working in my sketchbook every morning. Once a week I’m starting the day by painting. It’s such a good feeling to start the day this way. My mind is less cluttered when this is the first thing I work on. It changes my outlook for the entire day. I had no idea what I was going to work on, as I set up, and taped down my paper. 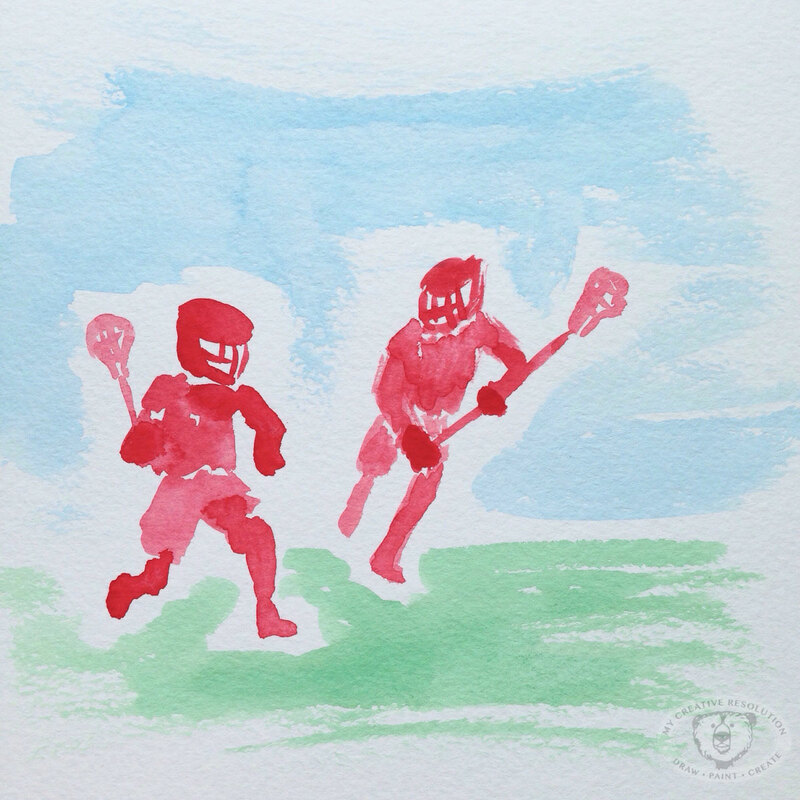 My son’s lacrosse magazine happen to be lying around, and I thought it would be interesting to work with a dry brush – to just capture the shapes and movement. That one little spark of an idea and I was off. I was in the groove. It’s been a while since I’ve felt this way. For the last month or so, when I did paint I was somewhat uninspired. I really liked how it came out. It felt different for me. 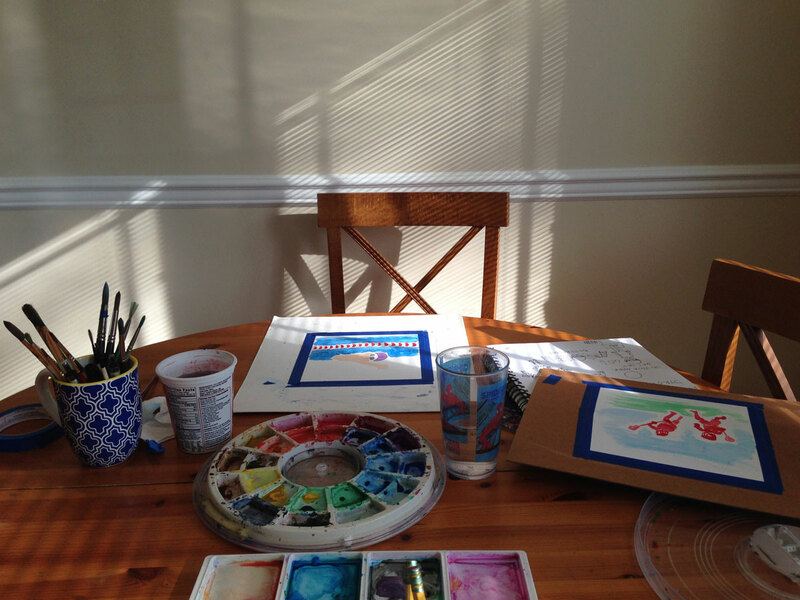 Categories: Inspiration, Watercolor | Tags: creative habits, creative resolution, good morning, inspiration, lacrosse, lacrosse painting, morning, painting, watercolor | Permalink. 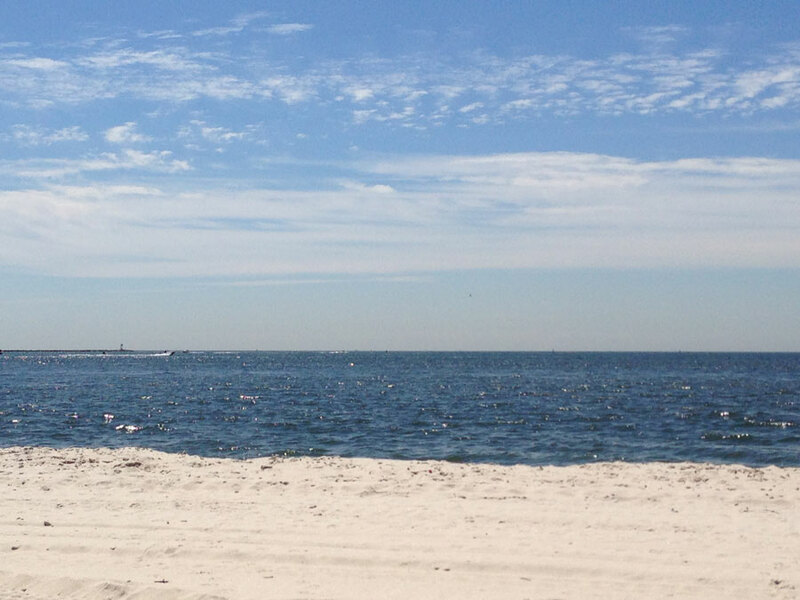 Where are the lazy days of Summer? It feels busy. I’m trying hard to squeeze in sketching time, even at the pool. And if I’m at the beach, I’m always taking pictures and thinking about the next painting. More and more, I realize how inspired I am by the seasons. My paintings of flowers have been replaced by beach paintings, pool sketches, and shell patterns. I see other artists online who are working on Christmas cards for the upcoming season. It makes sense – so their products are ready in time, but I don’t think I could do that! I love immersing myself in a season (or theme) and continuing to explore it with each project. I couldn’t put the shells away and start doodling Santas, at least not at this point. Categories: Inspiration, Sketch, Watercolor | Tags: Art, beach, Drawing, illustration, inspiration, morning, ocean, painting, photo, pool, Sketch, sketchbook, summer, watercolor | Permalink.